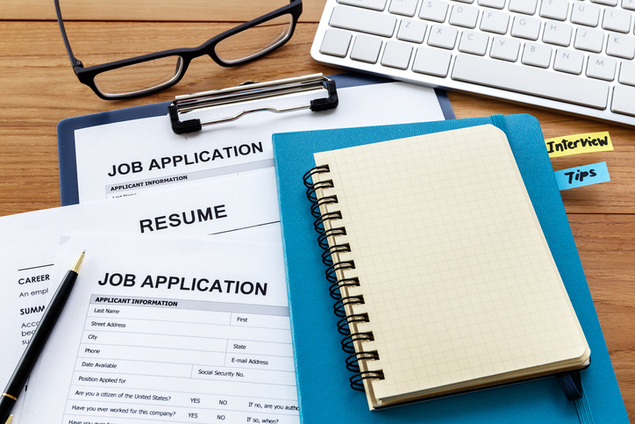 Getting a summer job may seem really daunting because it includes creating and submitting a resume to many jobs in addition to preparing yourself for a job interview. •	Include your contact information at the top of the page, including your address, email address, and phone number. •	List each job or position you’ve held in the past, whether it was babysitting or volunteering, and what specific tasks you performed at that job. •	Make sure your resume doesn’t exceed a page, and if it has to, put all the flashy stuff up front. In many cases, just the first page of your resume will be scanned when employers are looking for a candidate. When you have the outline of a professional resume, let someone who’s previously had a job look it over and suggest changes. It never hurts to have another pair of eyes looking over your work, pointing out ways to make your resume more attractive, and to present you in a better light. Remember, every task at every position you’ve ever held is important until you’ve had your first job, and it is easy to word these discrete tasks in a way that makes the overall position as impressive as it deserves to be. When it come times for your interview, remember to dress nicely and professionally. Arrive to the interview location a little bit early, and greet your interviewers politely. If you’re worried about the questions you’ll be asked, ask a family member, or someone close to you, to ask you some preparation questions! Some common questions to prepare for could be: •	What are your strengths/weaknesses? •	Do you work well in groups? •	If there was a conflict between team members, how would you work to solve it? •	Where do you see yourself in five years? •	Why do you want to work at this company? Some of these questions do have ‘right’ answers—it might not be such a good idea to say that you have no idea how to handle conflict, you might want to come up with an actual answer, and be able to implement the plan you have in mind—but if you answer sincerely, with evidence that you do truly want the job and are willing to put in what it takes, you will make a good impression. Overall, the most important thing you can do when writing a resume and presenting yourself at an interview is to make a good impression. In order to create a good first impression, provide cause for your new employers to hire you, by showing that you are employable, and I’m sure that your summer job is well within reach!